Jojoba oil usage is quite common these days but very few people know about its proper application and why it is good for skin. Jojoba oil is extracted from jojoba nuts which grow on a desert tree found in Southwest America. Many products for skin care contain jojoba oils and it is indeed useful to keep the skin blemish free. However, the reason why it is good for skin is its similarity to sebum found in human skin. This oil has the propensity to go deeper in the skin and thus helps in fighting bacteria and clogged pores. Jojoba oil alone has no specific benefits for the skin. Its deep penetrating property makes it work as a carrier. Thus it should never be used alone but combine with other helpful ingredients to repair the skin from deep down. Jojoba oil alone can be too irritating for skin, thus combining it with aloe vera makes it an excellent cream. You can take two drops of jojoba oil and equal drops of aloe vera and mix them well. Now you can gently apply on your face affected with acne. You can also massage for few minutes so that it can travel deep into your skin. You can keep it for 2-3 hours and then wash your face with warm water. Always moisturise your skin after wash. The combination of essential oils with jojoba is also considered quite useful. Also tea tree oil can prove to be essentially helpful in purging your skin. All you have to do is take 2 drops of jojoba oil along with 5-6 drops of tea tree oil. You can add water to dilute it further. Apply on affected area and keep it for longer time. You can also make this in more quantity and refrigerate it for future use. This is yet another easy way for curing your acne. Combine the two into equal quantities and prepare a mixture. Apply on your skin with a gentle massage. Glycerine will soothe your skin while jojoba oil combination with glycerine will work under your skin and repair it. Also, remember if there is a serious case of eczema or high level of acne, then this should not be tried. This paste is quite beneficial for dry skin acne. This can actually make your skin blemish free faster. All you have to do is take 2 spoons of jojoba oil and 1 spoon of cornmeal flour. Make a paste which is easy to apply. Add more oil if the mixture is dry. Now apply this on your blemished skin and keep it for a while. Wash your face and feel the difference with its regular usage. 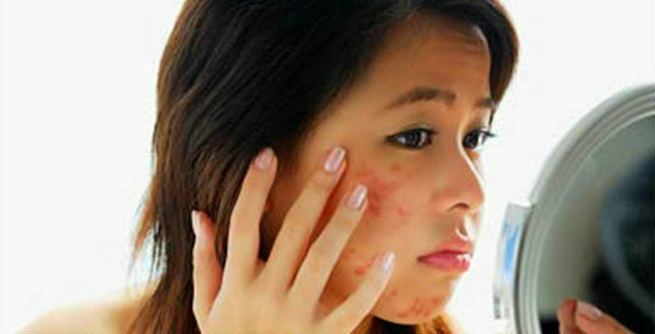 Thus, jojoba oil is a good treatment for acne if used in a proper way. Try out our ideas on how to use jojoba oil for acne treatment and share your results.